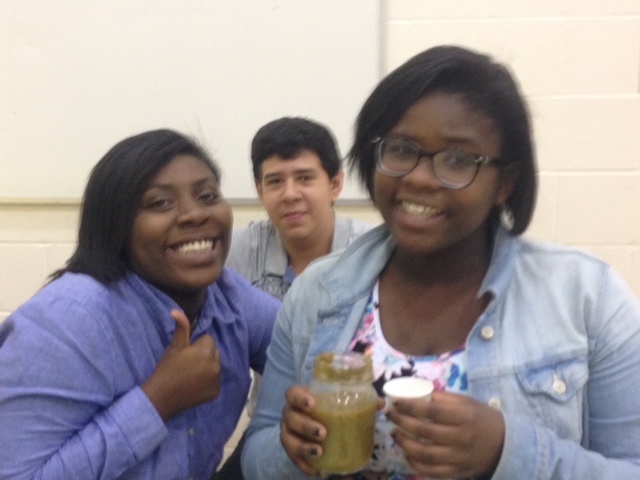 Today I wanted to share a great pickling recipe that one of our Hawthorne youth tried out last week. Aareal Taylor has been working hard all year at our Nellie Stone Johnson Farm caring for the plants as part of her school classes, her after school activities and through our summer program. The other day as we were dropping off some delicious fruits of her labor of love, her grandmother Shirley let me know that Aareal had found a sour pickle recipe and had tried it out with the cucumbers we had delivered. I just got an update from Shirley today saying that they tried them this morning and that they tasted great! They both love sour pickles and hopefully you do too! Thanks Aareal for the inspiration, I can’t wait for ours to be done! Combine vinegar, ½ cup water, sugar, spices, and salt in a saucepan. Bring to a boil, stirring until sugar is dissolved. Fill clean containers tightly with vegetables. Add boiling brine to cover completely. Let cool completely. 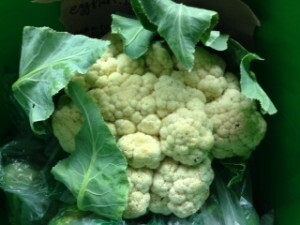 Cover, label and refrigerate at least 1 week before serving or up to 3 months. Makes 2 pints. Today myself and awesome Hawthorne All Star Breonna drove around the northside jamming to the radio and delivering veggies to Youth Farm families. Summer program feels like such a long time ago (just last week! ), so it was great to see familiar faces and celebrate giant heads of cauliflower together. The residents at St. Olaf were quite excited about their first tomatoes too! The fridges are once again bare and ready for Friday’s harvest. YES! Wednesdays are a busy day in Hawthorne. 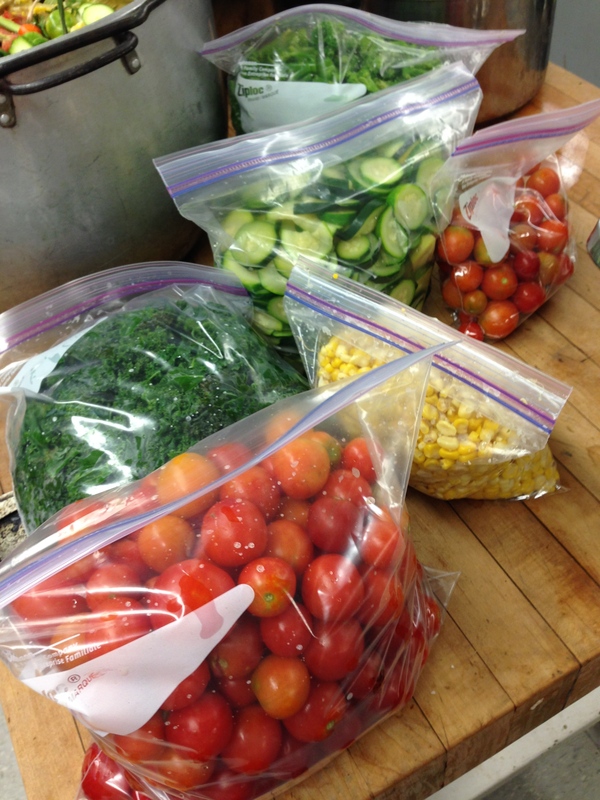 We are averaging over 100lbs of produce for just that day of the week! In the afternoons, we split up into 3 cohorts who make breakfast, preserve a little of summer for the winter months and prepare the rest to give away to youth and St.Olaf elders. 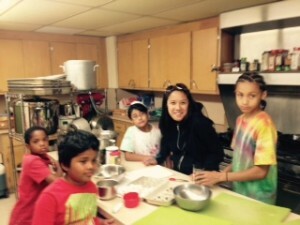 Today youth made zucchini bread for breakfast next week (5 loaves!! ), some rhubarb jam to be squirreled away for later (an icecream topping perhaps??) and packed up over 20 shares to distribute! It’s such a fun day to celebrate our hard work all week. Last Thursday, Hawthorne LEAD returned to their old stomping grounds at Nellie Stone Johnson School for their Year-End Celebration. 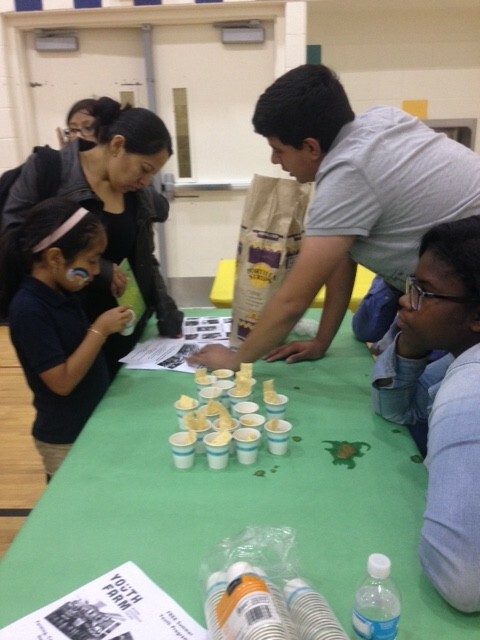 Our star LEAD Sergio, India and Ronnisha hyped summer program, passed out salsa verde samples and reconnected with old mentors. We can’t wait for summer! 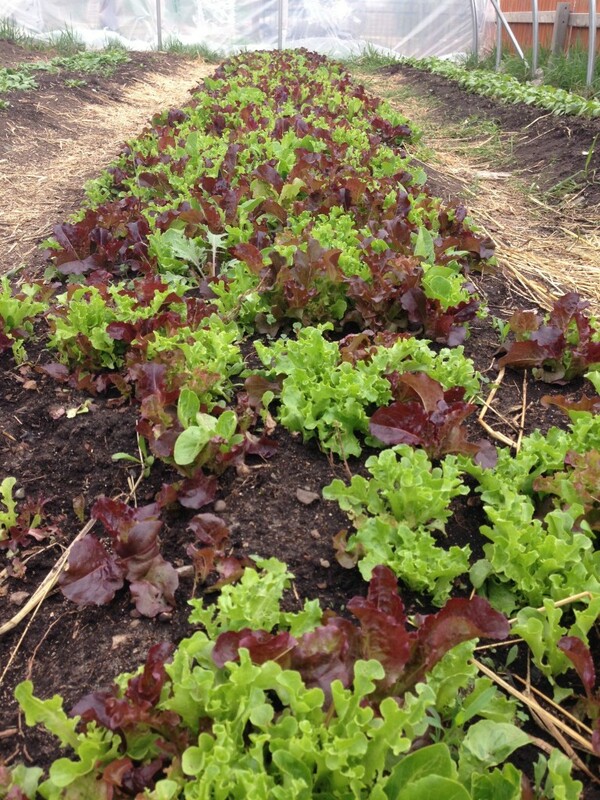 We’ve begun harvesting lettuce, spinach, and radishes out of the Lyndale hoop house. We cooked up a delicious spanakopita and have been eating salads galore. 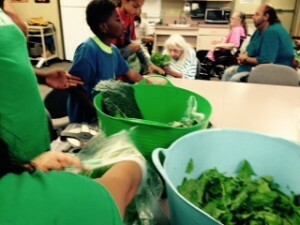 We’ve been distributing bags of produce to our farm helpers at Lyndale school. We’re creeping up on 50 pounds harvested in the last 2 weeks alone! We are deep in our larders now, cooking up tasty meals for families and community. Last week Project LEAD cooked up the Lyndale Community Dinner and the next night our Cooking Class served up their own Family Dinner. 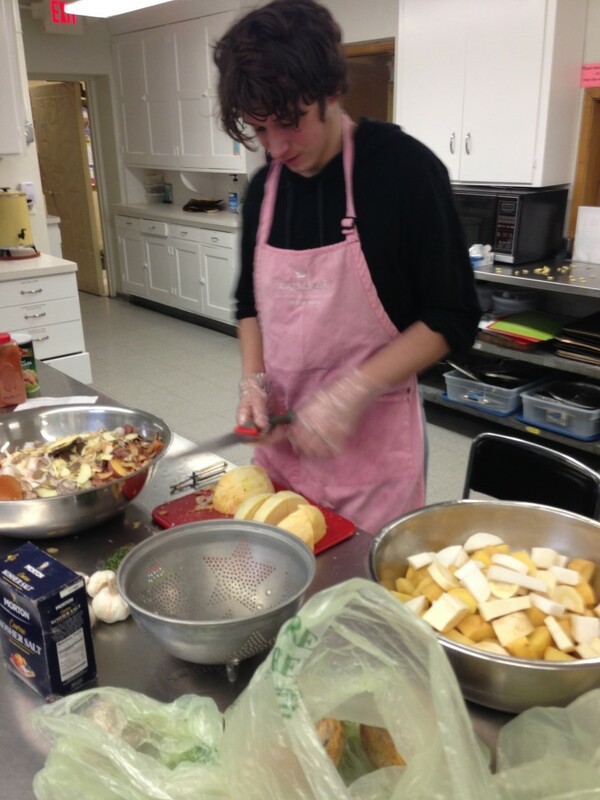 We’re back in the kitchens the next two Wednesdays (March 28th and April 1st) for more Community Dinners. All are welcome to join us! 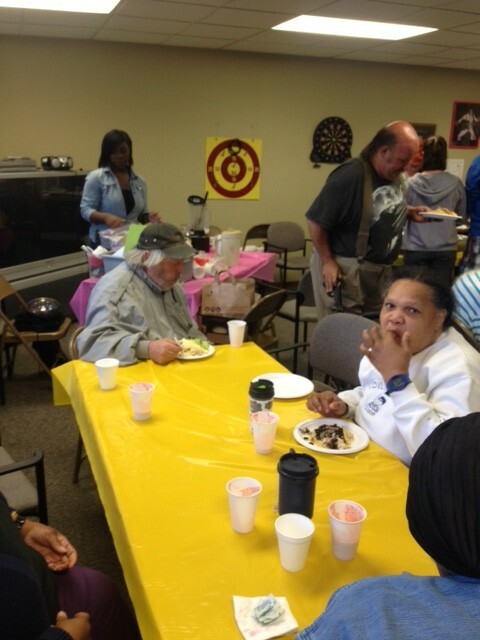 Dinner is served at 6pm at Zion Church on the corner of 33rd St and Pillsbury Ave. This week we’re bringing back our famous Collard Green and White Bean Soup, with our frozen collards, and next week we have some good ole Youth Farm Spaghetti! See you there, and bring your appetite!